Would RBI Rate Cut Ease Inflation? Reserve Bank of India (RBI), which is the country’s central bank, is often found in a perennial dilemma of whether to support growth or control inflation. If interest rate is increased to control the inflation, cost of funding is increased there by making it difficult for the businesses to acquire new capital for the business development and stimulate growth. On the other hand, if RBI decreases the rate of interest to stimulate the economic growth, money supply is increased in the economy which fuels the inflationary forces thereby increasing the prices. When both inflation control as well as growth stimulation are considered as the objectives of the RBI, often RBI fails in both the objectives as it tries to achieve both simultaneously. It’s because neither economic growth nor inflation are exclusively a monetary phenomenon. Nevertheless money plays an important role in both. Because of these conflicting objectives, Urjit Patel Committee to “Revise and Strengthen the Monetary Policy Framework” recommended that inflation should be the nominal anchor for the monetary policy framework. The nominal anchor or the target for inflation should be set at 4 per cent with a band of +/- 2 per cent around it. 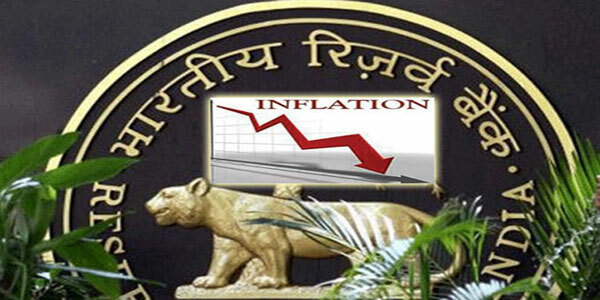 Committee said “RBI must target inflation only. Nothing else; don’t focus on increasing employment, don’t focus on increasing growth, don’t focus on stabilizing rupee-dollar exchange rate. Just focus on one thing and one thing only Inflation”. Recently, The Ministry of Finance announced that it had come to an agreement with the Reserve Bank of India (RBI) regarding the operational target and procedure for maintaining price stability in India, enforcing the recommendations of the Urjit Patel committee on Monetary Policy Reform. In brief, the RBI has adopted a flexible inflation targeting regime, where it decides and declares a target for inflation usually within a range. The target rate for the RBI is 4 per cent CPI-combined inflation with a range of plus or minus 2 per cent. The agreement also incorporates failure norms for the RBI where if inflation is above 6 per cent or below 2 per cent for three consecutive quarters, it is deemed to have failed, and it is required to state the reasons for its failure and the remedial actions it proposes. Right now, the pressure of inflation is not as high as was seen in the past few years thus giving the space to the central bank to reduce the interest rates. For that matter, RBI cut the policy rate on March 4, 2015 from 7.75 per cent to 7.5 per cent. According to the press release by RBI, decision to cut the repo rate was taken on the basis of easing inflation (5.1 per cent CPI in January) and promise of fiscal consolidation. The fall in global crude oil prices too had a relaxing impact on inflation, trade deficit as well as the subsidy budget. Since these factors hint towards the good economic fundamentals, RBI got the opportunity to reduce the interest rates to provide the growth stimulus. However, many analysts has criticised this move by RBI because rate cut would induce the inflation. But those who support the rate cuts feel that money supply is not the sole cause of inflation but the mismatch of demand and supply are the basic reason for structural inflation. This gap in demand and supply can be filled by either increasing supply or reducing demand. Since neither government nor RBI have much control over the demands of the people, it is easier to fill the gap by augmenting supply. For instance, supply of agriculture produce can be increased by building a chain of cold storages and warehouses. This would increase the shelve life of perishable foods thus increasing the food supply and ultimately easing the food inflation. Inflation and economic growth, both affects the common man. But while the inflation affects the common man directly without much time lag, the impact of growth is indirect and also there is a time lag. That why, Arijit Patel Committee has recommended the RBI to target only inflation with some flexibility. However, when a country was plagued by stagflation (stagnation + inflation: existence of inflation and slow economic growth simultaneously) devising a perfect monetary or fiscal policy will always remain a huge challenge.